Our grills are designed, customized, and finished by hand in the USA by our team of dedicated craftsmen who are passionate about turning the everyday into the extraordinary. Our customer service goal is simple: We are committed to providing our customers with total satisfaction. Every time. For any questions, we welcome you to speak with Debbie (our office manager) who has more than two decades of experience in the HVAC industry. She is a great resource who knows the answer to just about any question you can imagine. 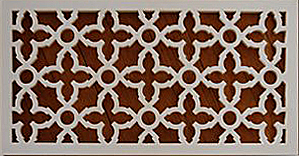 Our handcrafted grills change the feel of your rooms and enhance your home's interior and exterior. 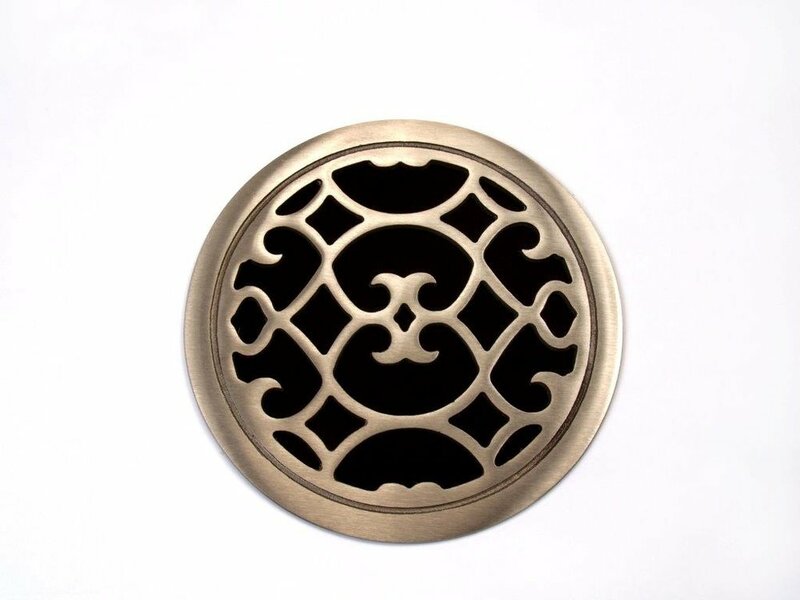 Are you looking to match your HVAC vent covers with an architectural detail of your home design? Inquire about our custom grills by clicking HERE. Prices listed on this website and in our catalog are suggested retail prices only. Prices and terms are subject to change without notice. Your order will arrive via ground transportation unless otherwise specified. All orders are shipped insured. Invoices are shipped with merchandise. A service charge of 1.5% per month will be added to accounts that are more than 30 days past due. Please allow between and two and six weeks for delivery of your Classic Grills order. We handcraft each grill specifically for you. By its nature, handcrafting by our artisans takes longer than machine-made, computer-controlled alternatives. Trust us--Classic Grills are worth the wait. Products that are un-opened and are in their original packaging are returnable for up to 30 days from the original invoice date. Products must be returned in clean, resalable condition and free of markings, labels, or any damage. Enclose a copy of the original invoice with the return shipment. All product returns, regardless of the reason, require an RGA number (Returned Goods Authorization) that is assigned by Classic Grills. All returns must be sent prepaid. COD shipments as well as those without an RGA number on the shipping carton will be returned to the sender. After inspection by our product specialists, accepted returns will be credited at the net value on the invoice less a 25% restocking fee. Returns are for merchandise credit only to your account (no cash refunds.) Damaged products will not be credited. Defective goods will either be repaired or replaced within a reasonable period of time. Defective goods must be accompanied with the RGA form. The RGA form and the RGA number must be written on the outside of the shipping carton. For your protection, ship all returns via your preferred package carrier prepaid or insure the package for parcel post. All COD orders will be refused. Call Debbie for shipping instructions. DO NOT ship returns to a PO Box address. With the exception of custom orders, orders may be cancelled prior to shipping. If an order has already been shipped, the above return policy will apply. All orders are carefully packaged and inspected prior to shipping. Classic Grills will pay for reasonable charges associated with errors in packaging and shipping. All mistakes, including short shipments, must be reported within five business days of package delivery. We strive to match finishes within a given order. Grills ordered at a later date may not match the original finish. In time, the grills ordered at a later date should age to match the finish of the originals. To return a defective product, you may request a return shipping label from us. If you choose to use your own package carrier, we will reimburse the cost of UPS Ground Standard shipping only.